88 Comments This post may contain paid and/or affiliate links. Please see our disclosure policy for further information. Just the other day a reader asked me if I had heard of the Amazon job scam that was being promoted by phone. Having an unpublished phone number, I rarely receive any unsolicited phone calls, so I wasn’t aware of it. So, I decided to do some research and see what I could dig up on this work-at-home scam. First, let me say, Amazon is a legit e-commerce company that offers individuals different ways to make money from home. But, with that being said, they do not recruit people for these positions by phone. First, let's talk about some of the legit ways people can make money with Amazon. One way is through their affiliate program, where publishers and bloggers make an advertising fee off of items that are promoted and sold on their websites. Another way in which you can make money on Amazon is through Amazon Mechanical Turk which is a platform where individuals complete short tasks for money. You can also earn money from Amazon by using Amazon’s FBA Program. Amazon acts as a fulfillment center for your business. You sell stuff, then they pack and ship it for you. They take a 30% cut of the total sales, and the rest is your profit. There are no fees to participate in any of these programs; they are free to join. Amazon also offers money making opportunities via self-publishing, mobile applications, various selling platforms, and sell back programs. They also hire people for remote customer service and delivery jobs — but never do they call potential workers for these positions. There are work-at-home ads circulating online when individuals click on the ad; they are brought to a landing page that requests their name and phone number. The scammers then call the people with a hyped-up pitch about how much money they can make with Amazon. They then ask for your credit card number for a startup fee, and this is when they get you. Amazon has nothing to do with this fraudulent opportunity; these crooks using Amazon's good name to promote their scam — the same sort of thing has happened with Google — you can read about it here. What Does This Amazon Job Scam Look Like? 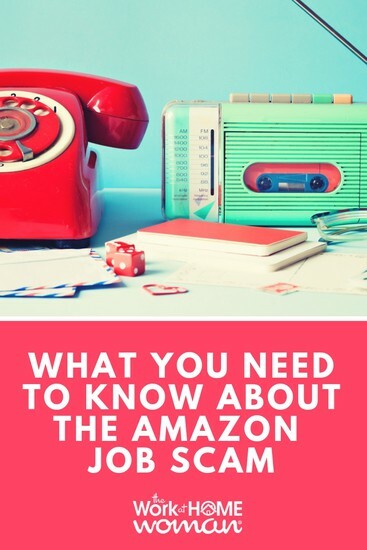 While I was unable to listen or view the promotion for this scam, other individuals and readers have mentioned that the caller left a voicemail and they were directed to AmazonCareers.co which was an offer for Real Profits Online. 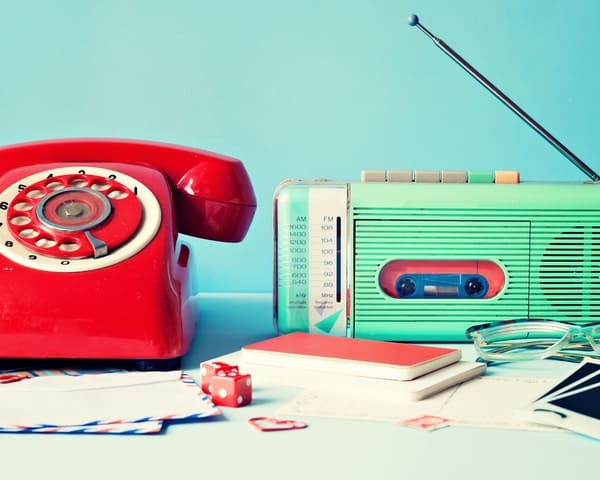 There have been a lot of readers who have received this phone call, so be sure to read all the comments below for more details. Just a heads up, there are multiple Amazon scams floating around right now. There's the gift card scam, the phishing scams, as well as discount offer scams. So before you click on a link or give your credit card information out — do a Google search and see if it's legit. In most cases, Amazon will NOT contact you for any of these types of opportunities. How Do You Protect Yourself From This Scam and Others? First, and foremost, you should be keeping track of your job hunting activities. This post here explains how to do that. Unsolicited job offers from so-called recruiters, just don't happen for entry-level positions. There are more than enough candidates for these roles that there's no need for head hunters to recruit. When you keep track of what positions you apply for, you have a better idea if a call or email is legit, because you can spot the unsolicited job offers from a mile away. A little work upfront can help protect you from scams in the long run. If you've fallen for this scam, the first thing you need to do is contact or your bank or credit card company and have them stop payment. Many of these scams have recurring fees that are charged monthly, sometimes weekly. The sooner you can contact your providers the better your chances of reclaiming your money. You should report the scam to the Federal Trade Commission so that they can investigate and hopefully put a stop to these scammers' activities. You should also contact the three major credit bureaus to place a fraud alert on your accounts; you may even want to freeze your lines of credit so that scammers can't open up any lines of credit in your name. If you’re feeling uneasy about your work-at-home job search — check out the paid membership site FlexJobs. Every single job listed on their website is hand screened for legitimacy. So when you apply, you can rest assured that you’re not going to fall prey to a work-at-home scam. Not only does FlexJobs have an A+ rating with the Better Business Bureau, but they also offer a money-back guarantee if you’re not satisfied. Have you received a phone call offering this Amazon scam? What else have you heard about it? Drop us a note; we'd love to hear from you. Please help us spread the word about this scam by sharing this article on your favorite social media sites – thanks! Originally published May 14, 2014. Content updated February 23, 2019. Thanks for sharing your experience, Jasmin. Oh, and she left me her number on my voicemail too: 1-888-959-9262. It was weird because a completely different number showed up on my called ID with a 262 area code. I thought at first maybe it was legit because I live in Milwaukee and 262 is a nearby area code. Also, I have applied to Amazon. Somehow these scammers got my information unfortunately. Thanks for sharing your experience, Bianca! 405~454~6459 Just received a call from a lady saying she worked with Amazon and that it was a work from home job that I wont have to talk to the customers or deal with any of the product then she said she had to ask me a few questions starting with if I had a credit or debit card I told her yes then she asked what I did for a living I said Im a stay at home mom she then asked if I needed my husband to make decisions I said we make decisions together and she hung up on me. I tried to call back to see if I could milk anymore information out of her and she didnt answer. This is definitely a scam! Thanks for sharing your experience, Laura. One thing to take away from this is, companies are not going to call you out of the blue offering you a job. Should you receive a call from an employer who you have not submitted an application — terminate the call, they’re up to no good. I just received a call from a woman saying her name is Tracy Wilson, from Amazon. She asked me the same questions that you were asked. After she said I would have to pay around $250 for a starter pack, I hung up. This definitely is a scam! I didn’t have the funds to start up either, then click… no one there. Call came from Parksburg, PA 610-857-3530. Are there any legit work from home opportunity’s, cause I’ve been looking? According to the list of things to watch for they all fall short. Yes, there are lots of legit gigs available. Thanks for sharing your experience, Nicole. Thanks for sharing you’re experience, Shauna. I keep getting calls from (281) 209-xxxx (for weeks now at least). Seems they keep rotating through anything in this range. Finally, today, I answered and they asked for my name and I asked who was calling. They said Amazon. I asked why they use numbers that don’t work. They replied so no one gets charged for the call. I told them it was wrong and I hung up. The scam number is 702 4107513. They have nothing to do with Amazon. Total scammers. I ratted them out to the feds. @Jamie F, was the person who called u was a female? nd did she transfer u to a guy name Herb Crawford by chance? I put together a post about this too with what info I had. I linked to your post. These companies have no soul.